The San Giovanni Spa facility and the area of shallow sea and marsh that provide its raw material are set into the Gulf of Portoferraio like a precious gem. The Spa stands opposite Portoferraio’s Medici Harbour, and uses a highly therapeutic silt with properties unique in Italy and indeed anywhere in Europe. The centre is surrounded by extensive grounds, leading down to the sea, planted with eucalyptus, palms and tamarisks, where patients can stroll and relax before and after treatments. The Spa practices Thalassotherapy, a type of treatment that offers all the many benefits the sea can offer through its water, mud, seaweeds and marine plants. The curative aspect goes hand-in-hand with physical and mental wellbeing and the relaxation, guaranteed by an environment well away from sources of atmospheric and noise pollution. The Spa, built in 1963, offers patients qualified staff providing mud treatments, baths and inhalation therapies, also by National Health Service prescription, as well as hydromassages, massages and, in the Wellness Centre, beauty treatments (manicure, pedicure and facial and body treatments). The fields of action are decided by the raw materials used: sea mud is used to treat arthritis, acne, psoriasis and cellulite; seaweed and marine plants, which grow wild near the spa, are used to make decoctions that are added to the water, with its sodium and iodide salts, for use both in the bathing therapy which complements the mud treatments and for the treatment of other disorders. 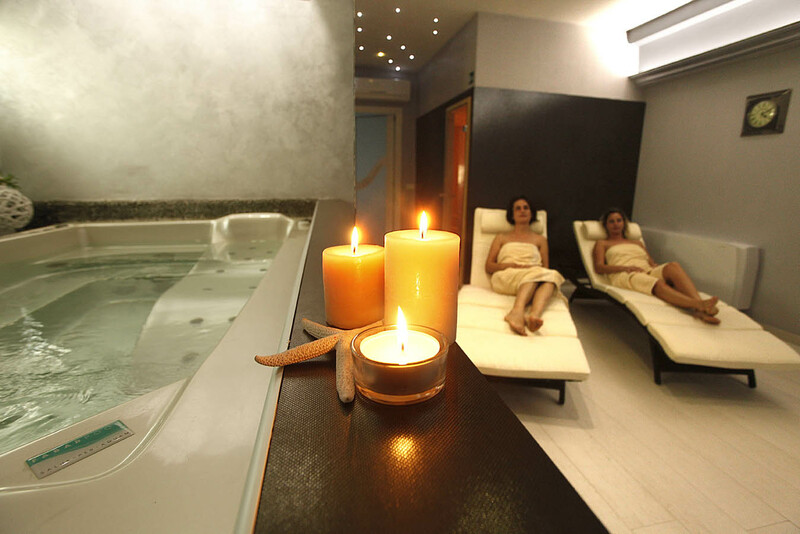 The Centre offers Thalassotherapy enhanced with the Alghelba™ decoction, used for antistress and anticellulite treatments, and especially recommended for patients suffering from circulatory problems in their legs (Spa Week). The sodium salt iodide salt water is effective in the treatment of diseases of the upper and lower respiratory systems (sinusitis, rhinitis, pharyngolaryngitis, bronchitis). The marine flora is also used in decoction form for the production of the Alghelba™ line of personal care and cosmetic products, available from the centre. Separate mention should be made of the Physiokinesitherapy Centre, open all year, with its top-class instrumentation and professionals.